Nurse leader embraces financial planning and pays it forward. After needing to raise money for her first nursing school admission fee, Irene Trowell-Harris, EdD, RN, Major General, USAF, Ret., became keenly aware of how finances can affect a person’s professional life. Subsequently, the financial and investment lessons she learned from personal experience and expert advice, and her desire to “pay it forward,” enabled her to establish the Irene Trowell-Harris En­dowed Leadership Fund at the American Nurses Foundation, as well as contribute to a number of college scholarships. 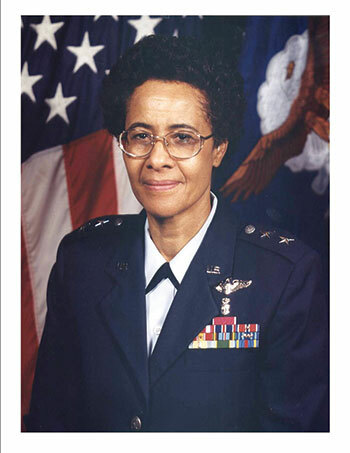 In her distinguished career, Trowell-Harris served 38 years in the U.S. Air Force and Air National Guard, retiring as a Major General in September 2001. She was the first woman and nurse to command a medical clinic. In addition, she was the first African-American woman to be promoted to general officer in the Air National Guard and to have a mentoring award and a Tuskegee Airmen Inc. chapter named in her honor. What was your first financial challenge? I grew up on a small cotton farm in Aiken, South Carolina, with three sisters and seven brothers. When I graduated from high school, I wanted to attend Columbia Hospital School of Nursing in Columbia, South Carolina. My parents didn’t have the funds for the tuition admission fee, so I consulted with my church elder about tuition assistance. The following Sunday, church and community members collected $61.25 in nickels, dimes, and quarters for my nursing school tuition. Not one paper dollar was in the basket, only change. The church provided the bridge for me from the cotton field to nursing school. With further financial support from my church and high school, I graduated with honors 3 years later. How did you first become interested in investing? I hadn’t given much thought to financial planning until I met a stockbroker and financial planner, the brother of one of my nurse colleagues, after I relocated to New York for graduate school. He briefed several nurses about how to increase our income by making long-term investments in the stock market. We attended sessions on Wall Street to learn about losses, gains, and factors that affect market performance. After much deliberation, we initially invested $25.00 a month, increasing the amount as our earnings increased. The financial planner also impressed upon us that we first needed a safety net: a savings account for emergencies, an employer retirement plan, and health, disability, and life insurance. Investing in the stock market was one of the best decisions I ever made for my professional career. What has your financial planning allowed you to accomplish that you wouldn’t have otherwise? Because of careful planning, I’ve been able to pay it forward for the next gener­ation by participating in six leadership, scholarship, and mentoring initiatives. I also was able to provide financial help to three of my siblings so that they could further their educations in nursing school, medical school, and flight school. My story is an example of a community working together to support one another. What do nurses need to know about finances? Investing in nursing and your future provides benefits for a lifetime. I encourage nurses to explore financial and retirement options early in their careers, including stock market investments. Search carefully for a financial planner or stockbroker, or consult with your employer to find reputable organizations that can provide sound advice. How can RNs learn more about financial planning? Attend webinars to better understand retirement, like those offered by ANA. The one I attended was very helpful; it addressed beneficiaries, family protection, social security, estate planning, and retirement accounts. While serving in the military and working for the federal government, I also learned about financial and retirement planning. Early exploration of retirement and investing options enabled me to live a more successful and secure life. Note: ANA members receive a complimentary, individualized financial plan from Edelman Financial Resources. The website also features helpful articles and resources.